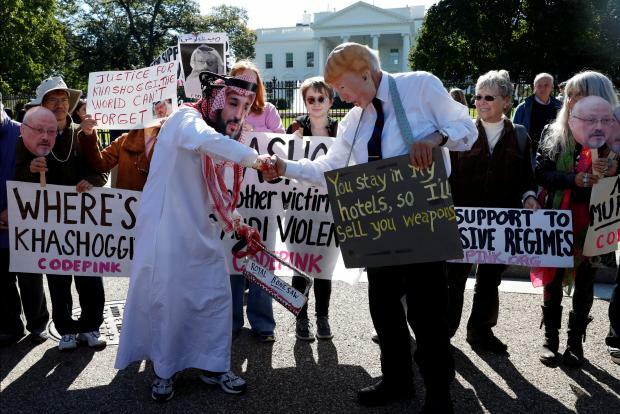 Activists protest the disappearance of Saudi journalist Jamal Khashoggi during demonstration outside the White House in Washington. 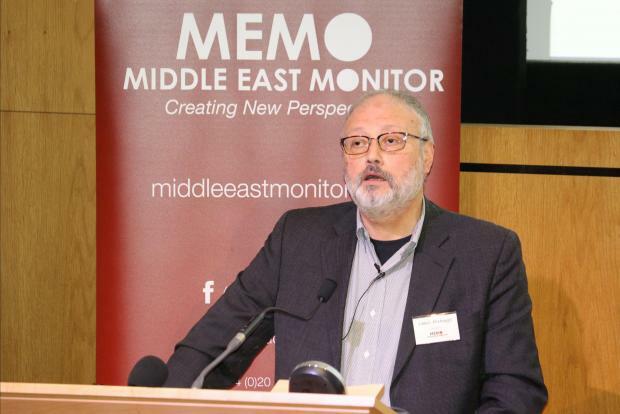 Saudi Arabia said on Saturday that journalist Jamal Khashoggi died in a fight inside its Istanbul consulate and that it fired two senior officials over his death, an account President Donald Trump said was credible but US lawmakers found hard to believe. His disappearance sparked a global outcry and prompted some US lawmakers to call for harsh action against Riyadh. "I think it's a good first step, it's a big step. It's a lot of people, a lot of people involved, and I think it's a great first step," Trump, who has made close ties with Saudi Arabia a centerpiece of his foreign policy, told reporters in Arizona. Some US lawmakers however were unpersuaded by Riyadh's account. Trump said he would be working with Congress on next moves, but "I would prefer that we don't use as retribution cancelling $110 billion worth of work, which means 600,000 jobs .... we need them as a counterbalance to Iran." Democratic Senator Richard Blumenthal told CNN the Saudi explanation "absolutely defies credibility". Saudi critics said it was obvious the authorities didn’t want to hand over Khashoggi's body as it would reveal how badly he was tortured. Khashoggi's Turkish fiancee, Hatice Cengiz, tweeted in Arabic: "The heart grieves, the eye tears, and with your separation we are saddened, my dear Jamal," she said, also asking "#where is martyr Khashoggi's body?"